Ayla Shapira suffered burns all over her face and arms when a Palestinian teen threw a Molotov cocktail at the car she was traveling in when she was just 11. Almost 14 now, she went to Brussels to tell her story at the European Parliament and warn MEPs their aid money is not going to peaceful purposes: A Palestinian teacher makes $250 a month, a terrorist gets $3,300. Ayla Shapira communicates with her eyes. Green eyes that stand out from behind a pressure mask, which covers her face during almost all hours of the day to protect her scarred skin. These eyes only rarely express anger or hatred. Surprisingly, most of the time, they radiate happiness. There’s great joy in Ayla’s eyes as she embraces her younger sister Esther, nine months old, who came on this trip to the European Union headquarters in Brussels with Ayla and their mother Ruth because she’s still breastfeeding. These same eyes expressed indifference when I asked her if she had any interest in meeting the Palestinian teen from the village of Azzun who threw the Molotov cocktail that hit the car she was traveling in with her father. 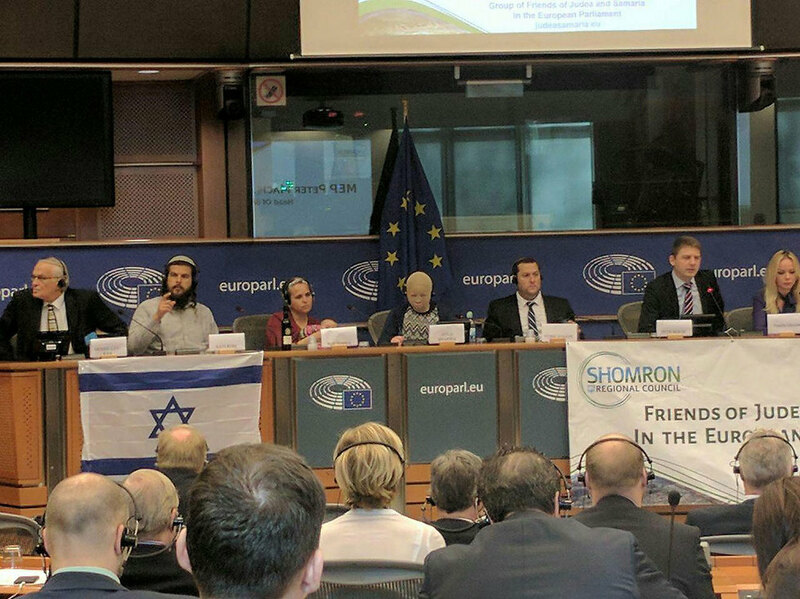 As she went up to the podium to speak in front of 15 European Parliament members, dozens of public figures, and a colorful group of “Christians for Judea and Samaria” who were wrapped in Israeli flags and blowing the shofar, I noticed excitement and nervousness in her eyes. And only at the end of her speech, when everyone in the room got up to give her a standing ovation and wipe away the tears, I saw embarrassment in her green eyes. “You were great,” I say as I hug her. “But I got some words wrong,” she says in a tone of self-flagellation. But Shapira, a resident of Ma’ale Shomron, who will turn 14 in three months, is not “just” anything. Even her hobbies are different to those of her peers. She listens to Israeli music of the older generation, like Kaveret and Arik Einstein, and she’s a self-declared bookworm. “When I was six, I hated reading. But after a year I read Harry Potter and I got the reading bug,” she says, showing off the five books she bought at Ben-Gurion Airport before boarding the flight to Brussels. On a regular week, she reads 5-7 books and her mother, unlike most mothers, doesn’t need to beg her to spend less time in front of the TV screen. There’s no television in their home. There was a lot of talk of the “going rate” during the special European Parliament meeting, which was held as a show of support and solidarity with Judea and Samaria. A year and a half ago, the meeting’s organizer MEP Petr Mach from the Czech Republic arrived in Israel as a guest of Yossi Dagan, the head of the Samaria Regional Council. Dagan has already served as guide for some 400,000 visitors from across the globe, including hundreds of VIPs, who wanted to see with their own eyes why the territories are so vital to Israel’s security, as Dagan claims. Mach, an energized young MEP, came, saw, was convinced and enchanted. 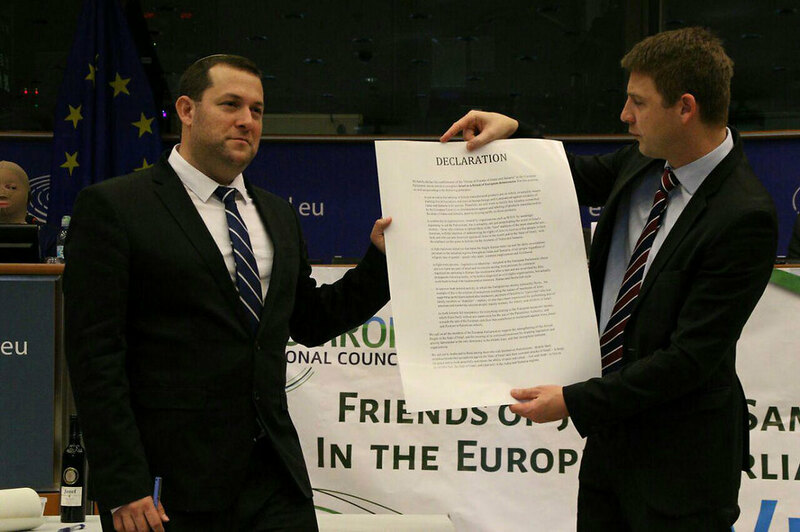 For over a year, he worked hard to establish the Friends of Judea and Samaria in the European Parliament. 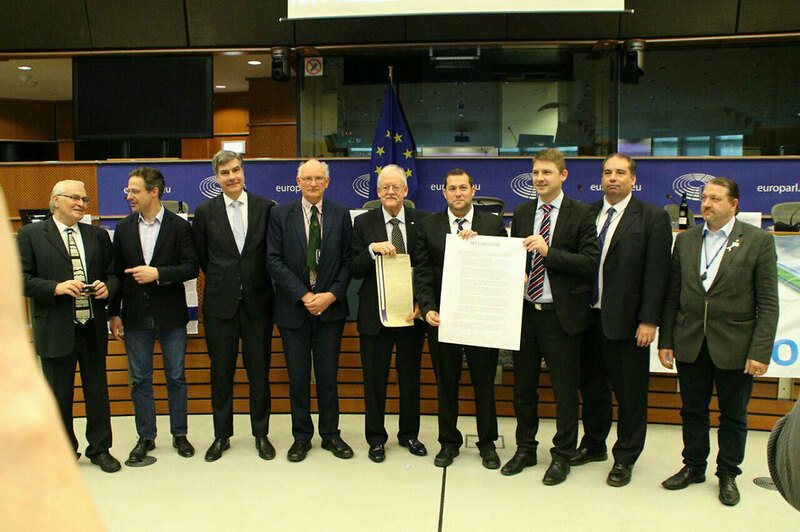 The intergroup was inaugurated last week with a joint declaration promising to cooperate to stop the funding of terrorism and reduce trade barriers facing Jewish pioneers in Judea and Samaria. Dagan, 36, came to the Samaria region 22 years ago. “When I was in the 7th grade, I was standing at the main junction in Pardes Katz holding up signs against the Oslo Accords when my parents reached the conclusion it wasn’t enough to just protest. We needed to strengthen the Land of Israel with actions, so we moved there,” Dagan says. “The expulsion from Gush Katif was for me a lesson at the university of life. 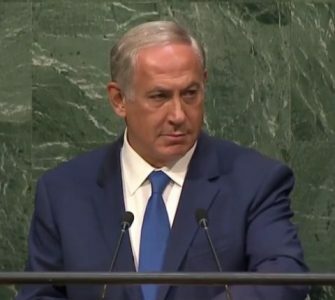 I learned that we must increase the settlement numbers and that I was willing to do anything to achieve that: from being an activist in the Trump campaign (in Israel) to sleeping on the sidewalk outside the Prime Minister’s Residence for two weeks after the murder of the Henkin couple. We’re among the leading areas in population growth in Israel—an increase of 8-10 percent a year. If we were allowed to build, we’d reach 30 percent a year. The demand is massive and it far surpasses the supply. During his speech at the European Parliament, Dagan explained to his audience that Israel is only 70 kilometers wide between the Mediterranean Sea and the Jordan River, and that Judea and Samaria make up 55 kilometers of this narrow stretch of land. Without that area, Israel would be a mere 15 kilometers wide. The looks of surprise on his listeners’ faces were replaced by shock when Dagan told them about the “going rate” in the Palestinian Authority. On the podium he did so briefly, but later, in an interview with Yedioth Ahronoth, he expanded on those numbers. “A teacher in the Palestinian Authority makes NIS 900 ($250) a month, while a laborer makes NIS 1,500 ($415) a month and a Palestinian who murdered a Jew and was sentenced to life in prison gets a monthly salary of NIS 12,000 ($3,300) from the PA. When that murderer is released in some (prisoner swap) deal, he gets a pension similar to that of a major general in the military for the rest of his life. 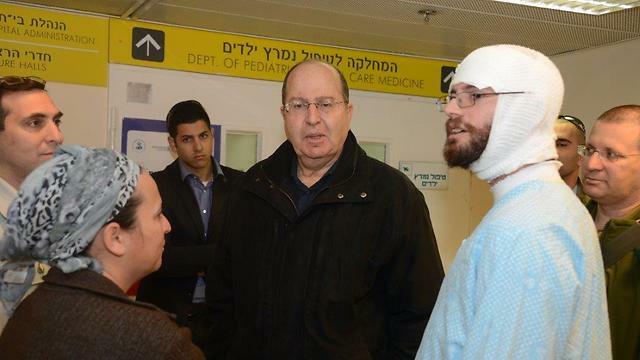 A 15-year-old terrorist will get a general’s pension because he murdered a Jew,” Dagan says. According to Dagan, the European Union transfers some $500 million of taxpayer money a year to the Palestinian Authority. Out of this fortune, the PA allocates $144 million a year to the salaries for terrorists imprisoned in Israel. 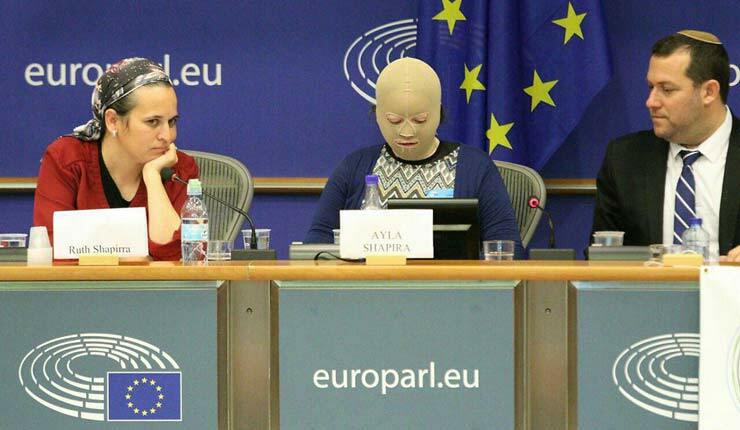 Shapira spoke to the MEPs from behind her mask, at eye level. “I want you to remember that sometimes when you think you’re contributing to peaceful purposes, you are actually contributing to war,” she told them as a screen behind her showed one of her drawings: A dove of peace holding a Molotov cocktail. Ayla’s mother, Ruth, says two terrorists were behind the attack that hurt her daughter, one of them a minor. And do you think that’s enough? “I’m sure the judge knew that,” Ayla adds. After the speech, as the excitement begins to fizzle out, we go to a vegetarian restaurant that many kippa-wearing people are flocking to, alongside some wearing baseball caps, afraid of drawing unwanted attention. The inauguration ceremony for the Judea and Samaria intergroup was postponed several times until Dagan and his advisor Chen Ben-Lulu, who is responsible for the Samaria Regional Council’s foreign ties, were able to gather enough donations to fund it. It was only when we landed in Brussels that we learned the delay was for the best: This special event took place exactly a year following the deadly terror attack that horrified the Belgians. When we’re at the restaurant, Ayla removes the pressure mask from her face, as it makes it hard for her to eat. “I don’t mind people seeing me as I am,” she says. The mask made the flight to Brussels hot and stifling for her. It’s only when they get to the hotel—after baby Esther falls asleep in her crib—that Ayla and Ruth truly relax. Ruth, 36, removes the headscarf she’s been wearing every day for 15 years, since she married Avner. They are marking their anniversary this week, but she decided to forego the celebrations this year so she could come to Brussels and speak alongside her daughter. Before she got married, Ruth studied criminology at Bar-Ilan University. But since she had Ayla, she has been a full-time housewife and a mother of six daughters: Ayla, 12-year-old Yiska, nine-year-old Tirzah, three-year-old Naomi and baby Esther. 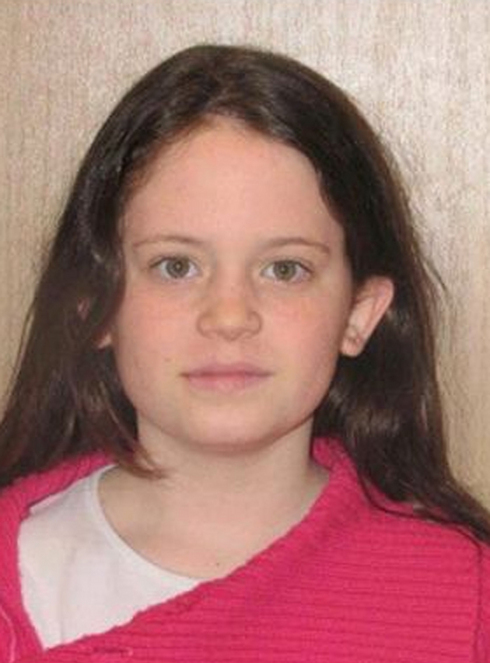 On that fateful Thursday, December 25, 2014, Ayla was on her way back home with her father Avner from an advanced math class for gifted students in Kfar Saba. Her father was driving on the road leading to the El Matan neighborhood, where the family resides, with Ayla sitting next to him in the passenger seat. “All of a sudden I saw a ball of fire coming from above. It shattered the window—I don’t remember if it was the windshield or the car window—and landed between dad and me,” she recounts. “Within seconds, my entire field of view was filled with flames. All I could see was yellow and orange. But I didn’t feel any pain. Later, it was explained to me that the adrenaline neutralized the pain. I didn’t feel anything; I was just thinking with cold logic what I had to do to get out of the car. “I unbuckled my seat belt. It took a while. I tried to open it with my left hand but I couldn’t, because it was already burned. So I used my right hand and that’s how it, too, got burned. After that I tried to open the locked door and it didn’t work. “The doctors who treated me said I wasn’t in the car for more than 10 seconds, but it’s amazing to me to think of how many thoughts went through my mind in those 10 seconds. I was asking myself how I was going to get out of the car if its locking mechanism was melting. Ruth was home making dinner when Avner called to tell her, “A Molotov cocktail was thrown at us, but it’s not like your incident.” Two weeks earlier, on the very same road, a Molotov cocktail was thrown at Ruth’s car and only miraculously missed the windshield, while the massive rock that was thrown at the car shattered the rear windshield and landed in the trunk. Ruth, after learning from her own experience, called the main emergency center and asked to be transferred to the regional center in the Samaria, so her husband and daughter wouldn’t have to wait for help for half an hour, like she did. “Just like you draw zombies—that’s what I looked like,” Ayla says with a giggle. 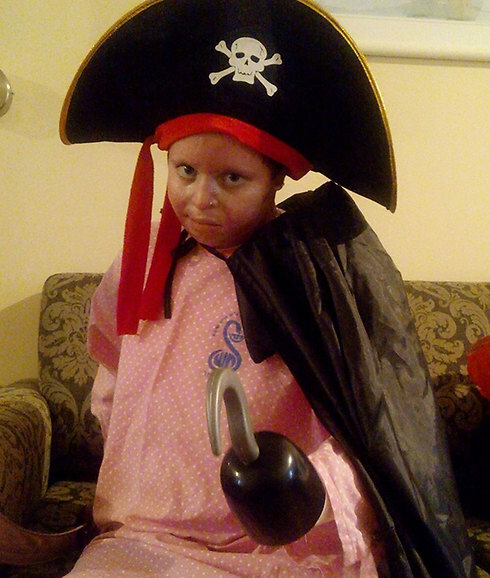 During her time in the ICU, Ayla underwent four skin graft operations, and then she was transferred to the Department of Pediatrics for two more months, where she underwent another operation. Ruth talks about all of the help and support she received from her neighbors. 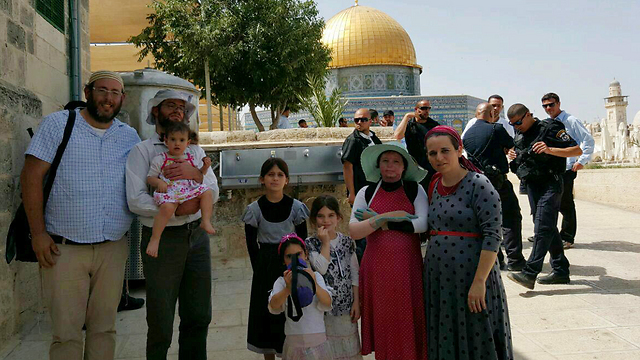 “Avner was also hospitalized and I had four young girls at home,” she remembers. 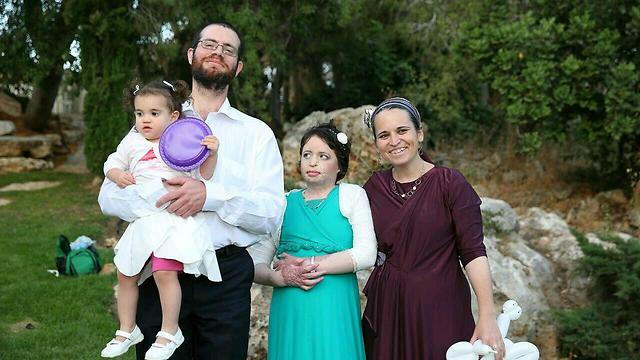 “The whole world came to help the Shapira family. The neighbors took in the girls when they returned from school, women from Ginot Shomron made them lunch, and I came home every other night. In the nights I spent at the hospital with Ayla, two students came to stay with the girls. “They made me eat meat,” Ayla complains. Weren’t you nervous of your friends seeing you with the pressure mask? 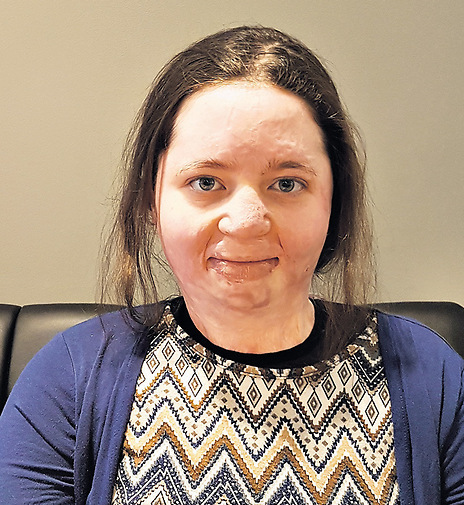 Six months ago, Ayla had another operation on her left hand, whose movements were impaired because of the scarring that caused her skin to shrink. “I couldn’t move my thumb,” she says, showing me how her movements have improved. “I had skin shrinking in my right hand as well. Do you think I need surgery?” she asks her mother. That’s up to you,” the mother responds. How long will you have to wear the pressure mask for? Ayla, how important is outward appearance to you? Before the attack, didn’t you ever stare at someone who looked unusual? What do you do when people stare? Do you still ask yourself why it happened to you? Do you think you could have avoided that Molotov cocktail if you weren’t living in the Samaria? The intergroup inauguration ceremony (“None of the speakers talked about the West Bank, they all called the area by its name—Judea and Samaria,” Dagan says with delight) also featured talk of the Boycott, Divestment, Sanctions (BDS) movement. Nati Rom, who founded the Lev HaOlam organization, came with boxes of products made in Judea and Samaria, and all present raised a toast with wine from the Har Bracha Winery. Dagan wants to organize events of this nature in the United States as well, and is not embarrassed when I ask him if he’s an Israeli ambassador for President Donald Trump.